Do you "advertise" that you are Paleo? Back when I was a vegetarian and a vegan, I was never interested in wearing those shirts that said things like "Meat is murder" or "I love tofu" or using bumper stickers, key chains, bracelets, or any of that type of junk that advertised my diet...just not for me. I never was into pushing anything on anyone else, and I still feel the same way. However, I do see some cool Paleo t-shirts and things of that nature, which seem to be WAY less biting than the vegan agenda ones that just make other people feel bad and guilty for eating meat. (Now hear me out, I don't think ALL vegan philosophies are overly extreme, for example, I too would want to avoid the going to the circus and avoid buying meat from factory farms which can be places of animal cruelty). So my question -- do you advertise that you are Paleo? Do you start the conversation with family/friends, or keep it more toned down until you're asked about your diet and lifestyle? Do you keep it to yourself mostly? Or are you are you more interested in wearing the t-shirts, starting a conversation, and talking to people about what you do because it expresses a part of who you are? I'd love to hear your stories and responses. Thanks! mmmm, I like cow's heart in the slowcooker. Thanks, Carlie! I am really up-front about who I am and folks seem to respond positively for the most part. @Dragonfly -- I love your answer! I think the key is gentle, compassionate encouragement. Thanks! I'm in this camp. I don't engage unless engaged. When I rarely eat out I tell them I'm avoiding foods due to allergies. People are generally too tied emotionally to food. I don't want people to feel like I'm judging them or think they are bad/wrong for eating differently from me. Yep... Just like I wouldnt wear a shirt advertising my religion or my politics (okay.. I did wear an Obama 2008 t-shirt a lot that summer), I have little interest in instigating a conversation that inevitably ends up making people feel threatened/inadequate/confused/turned off in general. Thanks! We're awfully proud of that one. Yeah, that's exactly what I'm talking about with the Paleo community being so much more friendly, inviting, and accepting! This type of "advertising" (if you'd even call it that) is clearly not making anyone feel ashamed or anything, it's just showing off who you are and what your lifestyle is about! Keep on using the Paleo gear :) Thanks for your response! I'll take one of each! 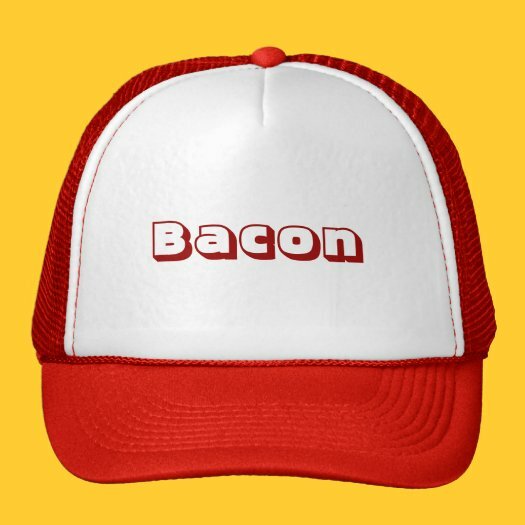 And 2 Bacon hats! Oh I didn't realize vegans hated the circus, that makes me more interested in going. Seconded...much easier with family and close friends who are like minded. I never advertise anything about my eating habits. One of my central IRL tenets is "avoid unnecessary and exhausting conversations." I don't advertise just because it's somewhat like showing off. At least that's how I perceive it. Then again, there are different ways to advertise I suppose. There are shirts that say vegans/ vegetarians are stupid or meat eaters are equated with the devil, you know, somewhere along that line (whatever), and I am not for that at all. It's great that some people avoid animal products or endorse the consumption of animal products, but I do not appreciate the fact that they advertise in some way that makes other people feel bad or guilty. 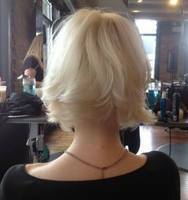 As for bringing the topic up with friends and family - It all depends on how "open-minded" or receptive they are. Food is somewhat like religion/ politics to me and I think to others as well. It's a very touchy subject and people do not like being preached to. In my experience, conversations concerning the "paleo" lifestyle tends to be more positive when the other person asks out of curiosity. We honestly wear paleo shirts all the time, particularly the ones advertising sites we like. I was wearing a Nom Nom Paleo shirt at the apple farm a month or so ago and it inspired an interesting conversation with a historian. Couple weeks before, a Balanced Bites shirt gave me the opportunity to talk to three interested moms at once. I, personally, feel evangelical about Paleo because it has done so much for me and my family. Does wearing a t-shirt (made on the ever-so-handy print on demand site Zazzle.com) emblazoned with this graphic count as advertising? Or what about a sticker on my car like this? Or a hat that says this! This one always bugged me. No, he doesn't love you, and he'd eat you in a heartbeat if the situation were reversed. I have a shirt with a tyrannosaurus eating a carrot and the word "Omnivores" on it, if that counts. I've owned it since before I even heard of the paleo diet. I love the PaleoParents "Eat Like A Dinosaur" shirt, though I'd get it for my kids, not myself. In general, I talk about my diet to the least extent possible in real life. Then you haven't seen shirts by Maddox, lol. Like everything else that is integral to my life, while I may not advertise, I don't make any attempt to hide, either. And people notice when a person does things that are out of the ordinary,or when what the person does starts showing results. For me, people started noticing when I got out of my wheelchair and started walking around, and when I lost over 150 lbs... would I wear a t-shirt... sure, some of them are just cool... but while I'm not comfortable pushing it, I certainly don't hesitate to talk it up under the right circumstances. I'm always posting Paleo/Primal/gluten-free links to my FaceBook page. I've turned a lot of folks on to Primal eating this way. I do nutrition coaching with pregnant and tryng-to-conceive moms, so I'm very up-front about my eating habits. Most of the parents I work with are WAP-inspired or Primal (or want to be) in their diets, anyway, so I'm generally just helping them fine-tune. No t-shirts yet, but I'm not adverse to them--or bumper stickers, either! I would probably wear a shirt that says "wheat is murder" or the re-evolve one because I think they're funny. Not because I'm trying to advertise Paleo or whatever, but because I am a jeans and t-shirt kind of girl and I have a collection of tshirts that crack me up. I also don't go out of my way to tell people that I'm Paleo/Primal/Grain Free/whatever the hell you want to call it, but I'm sure not going to hide it either. With my 12+ pound weight loss (and my husband's 15+ pound weight loss) in just a little over a month, I can't help but advertise! I'm looking around for the "perfect" Paleo shirt for me, but I haven't seen one I must simply have yet. I do tell everyone however (online and in real life), and I even started a blog about it and how it is working for me. So it makes me totally lame, then, that I like advertising it, huh? Sucky. I don't know. I guess after spending most of my life as a 300 lb fat chick, finding something that works makes you want to shout about it, even to people who aren't listening and don't care. Especially if it means there's some other 300 lb fat chick thinking, "Hey, how she'd do that...and what's PALEO?" I am a huge fan of "The road to hell is paved with gluten"
If you tell people you're on a diet, they often think you're trying to say "I'm special, look at me". That's why I never ever talk about my diet unless they ask me. It's sad that we live in a society that immediately hates you if you're different, but that's just the way it is. I'm doing this for my health though, not to show others I'm healthier than them. I'm doing this for me. There is no real reason to advertise it. Besides, the less persons that know about paleo, the more meat for me! I take more of a Kurt Harris approach and try not to be in so in your face like vegans tend to be. It's not worth the stress or effort to try to change someone's mind unless they show potential interest in the topic. Definitely started off as one of the "Bacon is rad, gluten is bad" people but found it annoying having to explain myself to everyone. I'm all for people advertising the hell out of paleo but I'm less confrontational these days. Just can't do it. Someone gave me a "Body by Paleo" T shirt for my birthday but it sits in my drawer still unused. Even if I was into advertising, me wearing that particular slogan would probably be a knock on paleo, since my body composition is only okay compared to plenty of others who don't do anything close to paleo. The only time I really truly openly talk, and ask questions, Paleo is at CrossFit and to the person who turned me on to Paleo. My friends of course know. All it took was turning a drink down during my 60 day - yes 60 :) - challenge and I was quizzed immediately. It was quickly dropped and every now and then they'll ask me questions and those who I'm closest to always make sure to have plenty of things that I can eat. Oh yeah.. at parties I might get a little hassled, handled easily, but that's pretty much it. I don't currently advertise it as I've only been living this way for about four weeks. It's been great so far, and if I continue to feel better and improve my health and appearance, I do plan to wear a shirt that advertises it (in a nice way) in work out settings or other places where I could attract the attention of like minded individuals. I own this shirt, which is more subtly paleo =P But I actually bought it because I thought it was both clever and cute! ...and kinda goes against vegetarians =) which I love. HAHA. I do not and have never worn shirts or owned things with slogans, phrases, or pictures on them. I even avoid brand logos whenever I can. Not judging people who do, it's just not my thing. I have minimalist style. Most of my clothes are neutral, solid colors. I do share about this diet quite a bit, especially to anyone who is having the health issues I did pre-paleo. The way I look at it - If people are interested, they will ask. In the same way that Francis of Assisi said 'Preach the Gospel at all times- if necessary use words', I think that the way we eat and the way we look (or, the way our bodies have changed) should be evidence enough for someone to say "Hey what are you doing differently?" Granted, I don't think diet and religion can be lumped in the same category, but our quiet diligence in eating the way we do should show others our willpower and results, and make them wonder how they can look and feel the way we do! The best paleo advertising is just being healthy. That draws a lot of attention. (Can you imagine how far we have come? In all frankness if I have to explain how I lost weight again to somebody I work with--whom I hardly know, I may scream. Sometime I'm going to get crazy and give the Robb Wolf answer and just say... "hookers and cocaine." So if I did want a t-shirt that is what I would want it to say. No, but the way I eat usually draws some questions. I have a couple paleo t-shirts; I thought the Whole9 food pyramid one was really clever, and I have a Chowstalker shirt because I love the site and want to promote it. 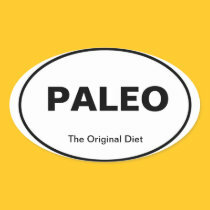 There are a lot of fun paleo shirts out there! :) I mostly wear them to the gym. As for talking about it, I enthusiastically answer questions but I don't make a point of telling everyone what I do & don't eat (I probably did that a bit when I was an excited newbie last year).